The Diamond Bow-Tie effect is the subject on quite some disagreement in the jewel industry. Some people consider it a good thing, saying that it contributes to the overall beauty of the diamond while others say that it is a bad thing: a flaw that mar’s the exquisiteness of the diamond. What exactly is a diamond bow-tie? Basically, a diamond bow-tie is a shadow that runs along the width of a diamond, usually in the center. This effect is usually seen in some fancy cut diamonds, such as Pear, Marquise and Oval, forming a dark shape reminiscent of a bow-tie, hence the name. Brilliant cut, or round diamonds don’t get the bow-tie effect because they are perfectly symmetrical in shape and have an even distribution of light, as opposed to the fancy cuts where a shadow forms in the deeper parts due to imperfect reflection and refraction of light within the diamond. Another thing that is responsible for the presence of the bow-tie effect in a diamond is the blockage of light rays that is caused by your head when you’re looking at a diamond, creating the shadows that get reflected within the stone. Use tools like James Allen's 3D Video Technology with 40X Magnification to assess if a diamond has a large bow-tie effect, and if does, it is a better idea to avoid it. How does it affect the diamond? Generally, a slight bow-tie effect is rarely avoidable, and is even considered a mark of top-notch cutting (having been able to properly angle and proportion the facets, table and pavilion. In instances where the effect is substantial, it could be the result of a flawed, improperly proportioned cut and the complete absence of the effect could be as a result of the cut that is too shallow, with the attendant consequence of a marked decrease in sparkle. The bow-tie effect is not very visible and most times won’t be noticed in a casual look, even from a short distance. 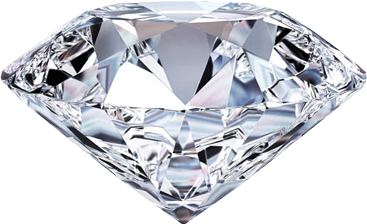 If in a small amount, it will usually have no effect on the overall clarity and brilliance of the diamond. In fact, depending on your preference, the bow-tie effect will sometimes have a pleasing effect on the diamond, with the contrast it provides enhancing the diamond’s aesthetics. The fact that grading reports do not assess and provide information as to the extent of the bow-tie effect in diamonds has made it so that you could buy an otherwise high quality stone, but end up with a bow-tie effect that’s much too big. Visual inspection is the best way to accurately assess the extent of the bow-tie effect in a diamond. You can assess how obvious it looks from different distances as well as the effect it has on the diamond’s overall brilliance and sparkle. 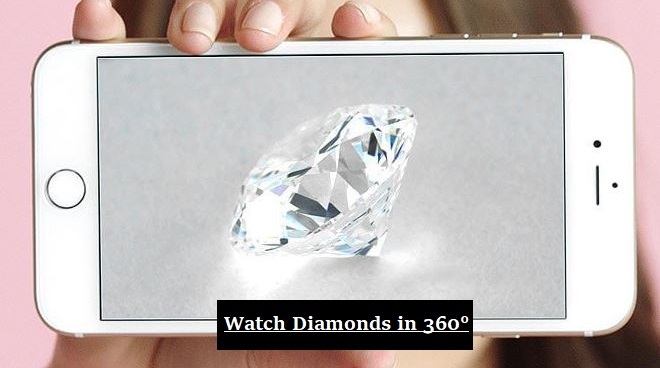 Where you cannot possibly check the diamond out physically, photos will suffice, as long as they are of high enough resolution to afford you a thorough view. If you are planning to buy your diamond from Petra Gems, ask us for our opinion on how the bow-tie effects the diamond you are considering to buy. If you are shopping elsewhere, ask your jeweler’s opinion. We offer 30 days return on our products, so feel assured that if you end up not liking your diamond for any reason whatsoever, you will have sufficient time to return it for a full refund. Make sure you have the option to return your diamond or other diamond jewelry if you are shopping elsewhere.